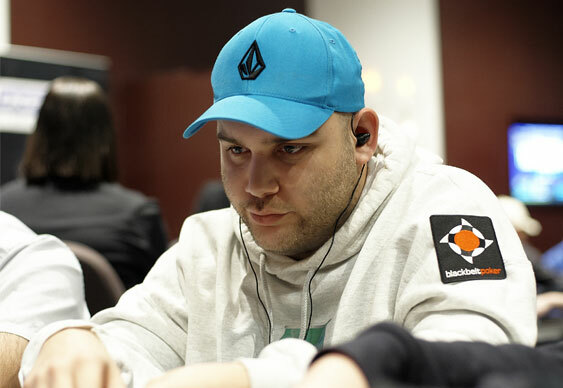 Poker pro Jerome 'Gongonongo' Bradpiece talks Omaha and of his recent success on faraway shores. I won in both cash and tournaments, although I didn’t end the year with too much more money than I started it with. Vegas caused a dip in the middle, which has been a bit of a recurrence over the last few years. I can’t complain, though; I’ve had a few touches and have been winning online. How important was WPT South Africa? It was pretty key as Vegas almost wiped me out and I hadn’t been making much progress since, so I headed out on fumes. I was born in South Africa and have family who watched me on the final, which was cool. I’d definitely recommend it as a poker/holiday destination. Although they love the game, there aren’t too many really high-level players so it makes for good pickings. How disappointed were you to miss out on the trophy? I’ve had quite a few seconds in the last few years so it was a little annoying, but we did a deal heads-up that smoothed out the money. Dominic [Nitsche] was chip leader for most of the tournament and seated to my left on Day 3 while I nursed a 30 big blinds, so I was pretty happy to get head-ups up with him. I can’t begrudge him the win and at the end of the day it’s about money rather than titles and prestige. Since South Africa I’ve been dabbling in the $5/$10 PLO on Black Belt Poker, but generally I’m playing $1/$2 and $2/$4. I’ve seen the downside of moving up too aggressively. I’m happy finding a level I’m comfortable with and building a bankroll that way rather than looking for shortcuts. It’s all about controlled shots and having the discipline to return to where you were before if it goes wrong. I’m not sure how good I am at that. Do you need a bigger ’roll for Omaha? I think so. People tend to play worse at Omaha, which should lower variance, but you’ll often find yourself in pots with thin edges. That makes for big swings, regardless of the strength of your opposition. Will Omaha ever overtake hold’em? That’s optimistic. Hold’em is a lot simpler and easier to pick up for your casual player, while Omaha is still like a foreign language to a lot of people. There’s plenty of room for growth, but the aim shouldn’t be to replace hold’em. It would just be good for the poker economy if hold’em became less dominant and there were a more rounded approach. What attracted you to Omaha? It started off as a bit of fun; you can play a lot looser and still turn a profit. Hold’em is much more read-based, while in Omaha I feel like I can outplay people in a much lower-stress way by just having a fundamental understanding of the game. How has the standard changed? There are fewer idiots and more players have managed to figure out a decent tight-aggressive strategy, but I’m not overly concerned as I rarely play in a game where there isn’t some source of value. Omaha is tougher by nature so it’s unlikely to be solved just yet. The regs don’t make too many mistakes and have opened up their pre-flop three-bet ranges in recent times. Traditionally, a three-bet would often mean aces, but people are getting wiser to this trend and re-raising more freely. A lot of the winning players three-bet around 10% of the time, and that’s something I’ve had to adapt to. Do you use a HUD? I do, but I’m not particularly proficient with it. I use it mostly for identifying players. I look at basic stats just to get a sense of who they are and whether or not I want to play pots with them. I think it’s easy to give yourself too many stats. I’d rather cut them down to a few keys ones and make sure I use them to their full extent before analysing some of the more complex stats. I don’t really play them online because I’m not as good and there aren’t as many games available. I really like playing dealer’s-choice live and enjoy changing it up, but again, it’s not that easy to find a good game, especially now the International has closed. I’d like to get to Black Belt; it’s about bloody time. If I can get into my regular grind pattern and start really putting in the hours, it should be fairly doable. My ability to multi-table big hours has improved a lot. Not going skint this year would be nice too, and a sub-heading to that would be not going skint in Vegas for once. Are you going to approach Vegas differently? It’s easy to go broke chasing the WSOP dream. It’s expensive playing the full schedule, so I need to be happy selling more if I have to, and also be open to the thought of not going unless I’m financially secure. That’s easier said than done, though. Let’s just hope I have a good first five months of the year and head to Vegas robusto.